What We Do | Looking For An Italian Catering Perth? Look No Further. There are all sorts of events where food plays a critical role. If you’re looking to add a touch of Italian flair to your event and make sure everyone goes home with a full stomach and happy smiles, then you should call us. Let our woodfired pizza catering service impress and fill bellies at the same time. Our service is available for all sorts of functions and events. Here’s a quick look at just some of the places we can go and events we can provide premium, authentic Italian food for. Corporate functions are within our repertoire. We’ve catered large events and small meetings alike. 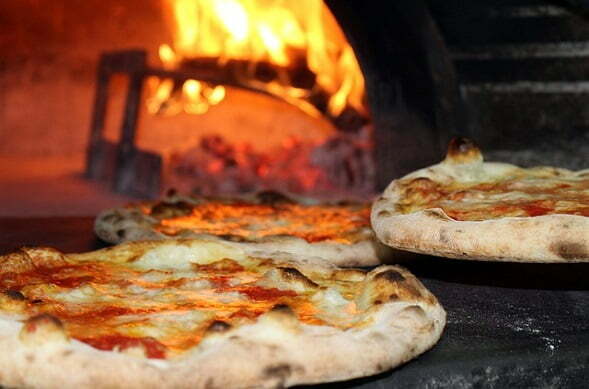 Our woodfired pizza catering Perth service can adjust based on your needs. Whether you want a relaxed atmosphere or the crispness of a business meeting, we can cater to the situation. We can also show up for business promotions. Nothing quite catches the eye more quickly than great food. Woodfired pizza catering Perth also gives your team ample opportunity to chat up potential customers. Are you hosting a conference? If your venue hasn’t provided catering, call us. Our woodfired pizza catering Perth service is ready to go. Having a buck party? Celebrating that last night of freedom before tying the knot? Do it with our great pizza on the plate! Parties are, of course, our speciality! There are few ways to turn a gathering into a party as quickly as ordering a lot of pizza and a lot of drinks. Whether you just want to have friends over for Italian or to celebrate an event like a birthday, our truck is ready to drive over. Is your community holding an event like an exhibition, fair, or festival? Call on us to complement the foods on offer! We’ve catered all these events and more all over Western Australia. We can also cater engagements and weddings.